After returning home from my semester abroad, I got to talking with my dad about Bruges. He had visited Belgium in the ’90s while traveling for work and remarked that he had some of his very best meals in Bruges. To that, I could only nod my head in agreement, because I had noticed it too – Bruges is a city filled with fantastic places to eat. To some extent, this surprised me. 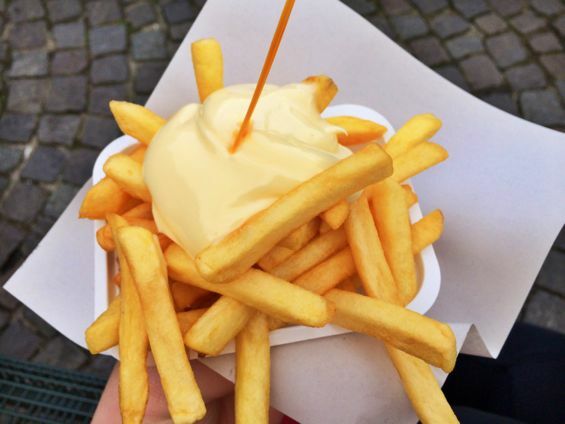 While I knew I would love the street food in Bruges – think waffles topped with whipped cream and strawberries and fries heaped with mayo – I didn’t realize that the restaurant scene would also be so solid. Meals were always something to savor in Bruges, whether they were of the grab-a-waffle-and-go variety or the sit-down restaurant, finer dining type. It is a town tailor-made for eating well (but not for counting calories) if I ever saw one. 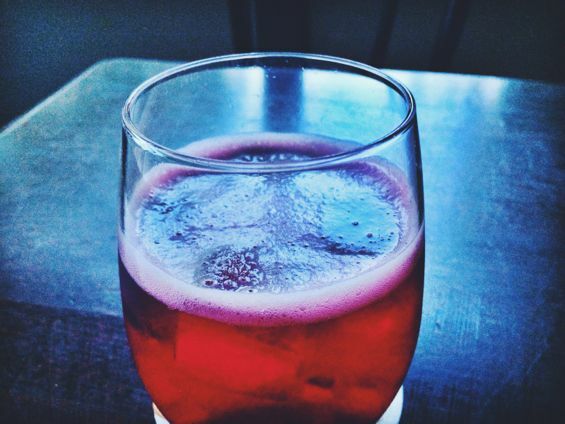 Here are a few favorite spots. 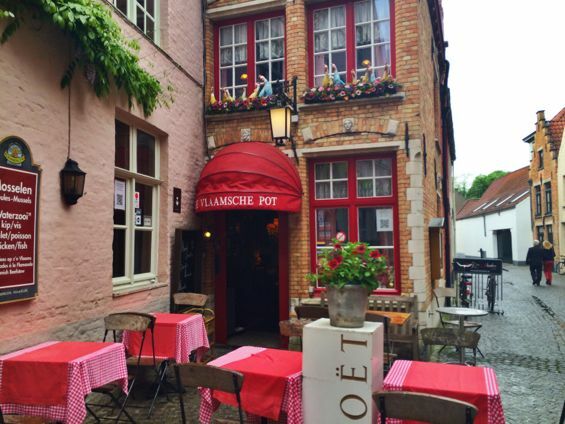 Tucked away on a tiny street not too far from Bruges’s main square, De Vlaamsche Pot was a gem. 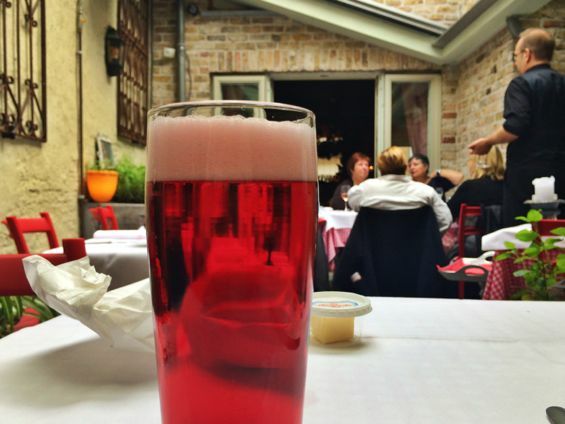 What I loved most was the overall atmosphere of the restaurant, from the chairs painted bright red to the checkered tablecloths to the leafy, lovely courtyard I was seated in for my meal. 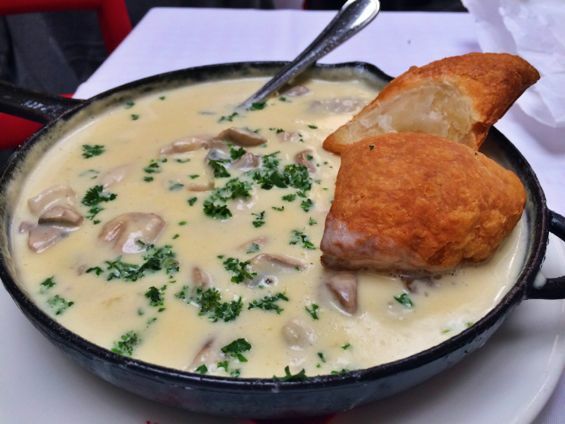 The food was also good (which is the most important thing, I suppose); I ordered the chicken vol-au-vent, which was perfect for warming up on a drizzly Bruges day. The prices seemed a bit high, but you do get huge portions – so overall, I would say De Vlaamsche Pot is a fair value for the money. 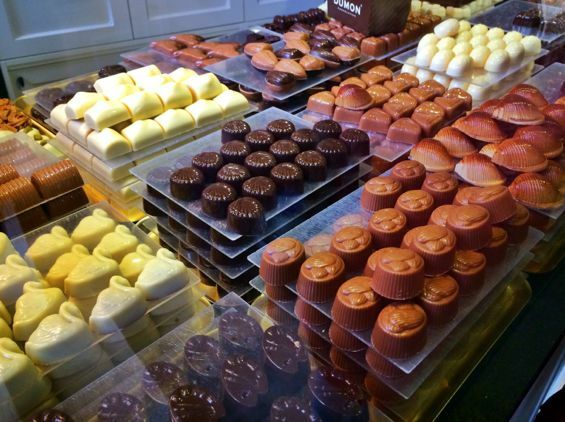 Sampling chocolate is, of course, a must in Bruges. The only problem is: which chocolate shop to choose? 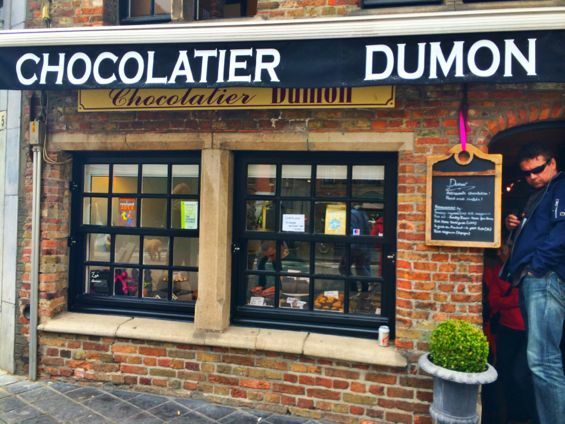 I based my pick on the descriptions in my guidebook and wound up at Chocolatier Dumon – and it was a good choice (hashtag thanks, Rick Steves). 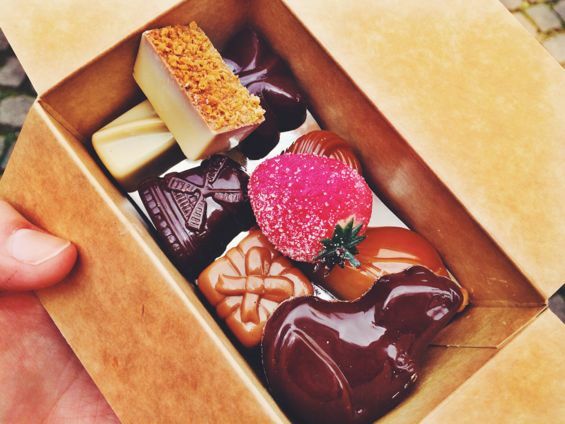 The selection at Dumon was overwhelming and the chocolates were not labeled, so I decided just to have them put together a mixed box for me. Not only was my collection of chocolates quite cute, it was also tasty. Was it better than my beloved Swiss chocolate? That, my friends, is a delicious toss-up. I will admit that I chose De Hobbit primarily because of the Lord of the Rings reference in the restaurant’s name, and not because I had a specific craving for the food there. 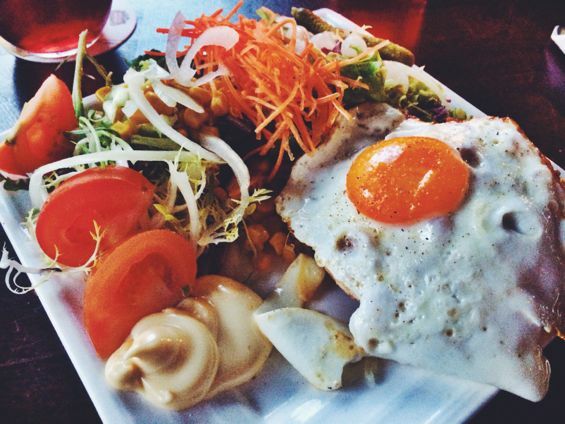 Nevertheless, while I would not classify this as my favorite meal in Bruges, it was a pretty good one. 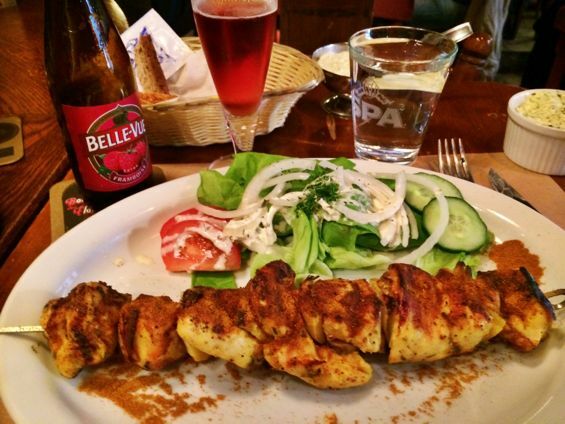 My chicken skewers and salad were a solid choice for a lighter meal and, as always, fruit-flavored beer did not let me down: I loved my framboise. 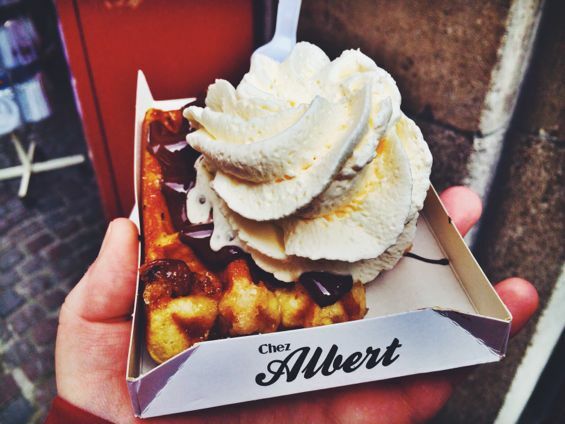 Located just off Grote Markt (Bruges’s main square), Chez Albert cooks up waffles smothered with whatever delicious topping you would like. 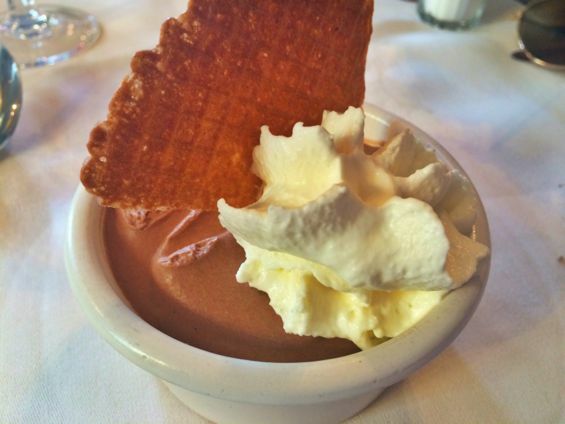 While there were many options (think fruits, nuts, and sauces galore), I went with a classic: chocolate and whipped cream. It was delicious but quite rich; next time around, I would be tempted to try just a plain waffle, which I suspect is plenty yummy on its own. In the shadow of Bruges’s medieval bell tower lie two thoroughly modern developments: french fry stands! 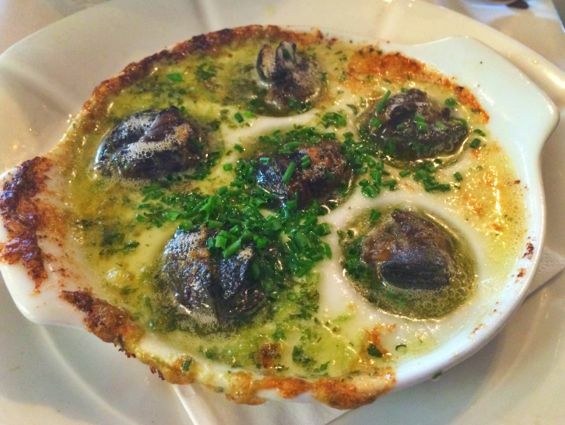 Much like the fries in Amsterdam, these guys come drenched in the mayonnaise of your choice. My recommendation? Head to the nearby benches to enjoy your fries and people-watch all the folks passing through the bustling square. My final meal in Bruges was a good one: lunch at De Koetse. I went with the prix fixe lunch: mussels with garlic butter to start, steak with Béarnaise sauce for my main, and a chocolate mousse to finish. I loved it all – particularly the mussels – and, as usual, was a bit overwhelmed with the portion sizes (a trend in Bruges, it seems). I also appreciated the service at the restaurant; every waiter who dropped by my table – and there were a lot of them! – was friendly and efficient. As I mentioned before, I was surprised by just how much I enjoyed Bruges – and the vibrant food scene was a large part of the city’s appeal. What I found especially wonderful was that you can get delicious stuff whatever your price range may be; there is a range of options from cheap food stands to pricier splurge meals, and all of it is good. 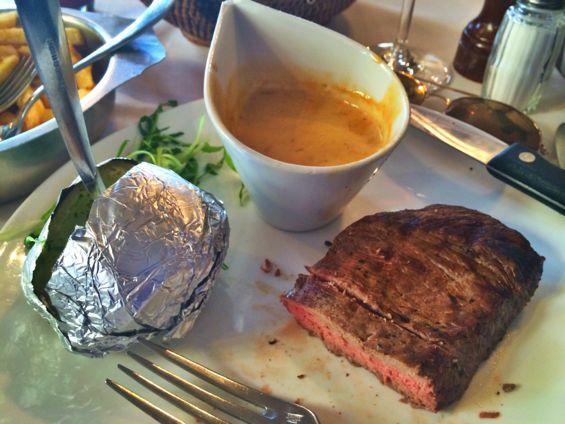 If you are looking to eat well, I would classify Bruges as a can’t-miss foodie stop in Europe. 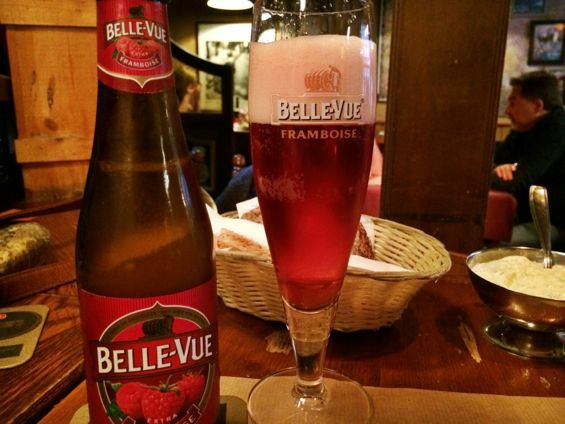 Heading to Bruges in a few weeks, will take your advice with us! Wow, this is such a yummy article. Will be visiting Bruges mid-June and look forward to visit all the place you have mentioned and eat everything. Thank you.